The Bayou City’s teeming mosquito population spawns in dark, wet nooks and carries a slew of deadly tropical diseases that could ravage the region. So Houston is pondering a sneak attack, something akin to a Trojan Horse. Harris County officials are negotiating with a British biotech company, Oxitec, to create and release mutant mosquitoes genetically engineered so that after they’re set loose in the wild, offspring die, and the mosquito population dwindles. If an agreement is finalized, Harris County could become one of the first locations in the United States to use the mosquitoes, going far beyond the chemicals and public-awareness campaigns the county has long relied upon. Oxitec spun off from Oxford University 15 years ago to commercialize proprietary strains of insects, namely mosquitoes. The hope is that they can help reduce populations of Aedes aegypti mosquitoes, which carry the Zika virus, dengue fever and chikungunya, among other deadly illnesses. The mosquitoes are common in the Houston region. Oxitec inserts a “self-limiting gene” into a male mosquito and releases several into the environment. Those mosquitoes then mate with females – Oxitec claims their special males out-compete normal males – and the resulting offspring die before they become adults. Over time, the overall population of the Aedes mosquito declines. 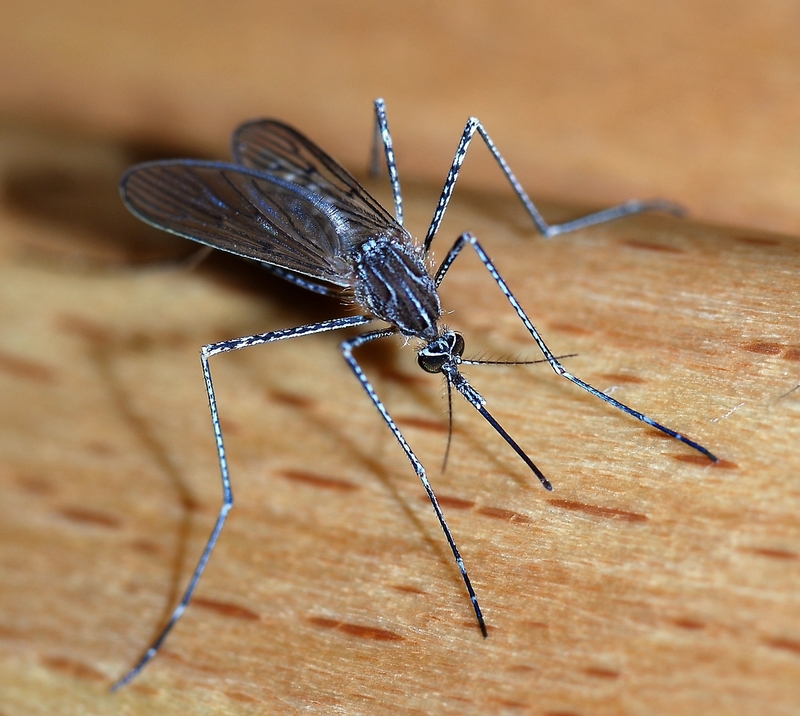 Male mosquitoes do not bite and can’t spread disease. The company has conducted field trials in Brazil, Panama and the Cayman Islands and says it has reduced the Aedes mosquito populations by up to 90 percent in each location. “It looks like we’re going to do or plan to do some sort of trial initially to test out the system,” Nimmo said. Oxitec has yet to try out its technology in the U.S. According to the FDA, if Oxitec wanted to conduct a field trial in Harris County, the company would have to submit an environmental assessment to the agency. Another complication: Regulatory authority over Oxitec’s mosquitoes would then likely shift to the Environmental Protection Agency. Mustapha Debboun, director of the Harris County Mosquito Control Division, said working with Oxitec could provide another tool in the fight against Zika and other mosquito-borne illnesses. Unseasonably warm weather has prompted the division to boost staff during winter months. It has seven investigators now, compared to four, and two additional public education staffers, Debboun said. In August, officials nearly doubled the number of Aedes mosquito traps across the county to 134. Harris County also continues to partner with Microsoft to develop high-tech traps that will sense and nab only certain species of mosquitoes, like those that carry Zika or dengue, and eventually hopes to utilize drones to find and target hot spots. After receiving a federal grant, the county hopes by May to start research on whether mosquitoes in the region that could carry Zika are developing resistance to certain pesticides. The county also will use that money to test more mosquitoes for Zika, Debboun said. “The crucial part of all this is to find out if the mosquito has the virus in it,” he said. Yes, remember the Microsoft Mosquito Drone story? Nice to hear about it again, even if there isn’t much to report yet. As far as Oxitec goes, their approach is one I’ve heard about as a possible way to limit the growth of the A. aegypti population and the many diseases it helps propagate. Maybe it will work without serious unanticipated side effects, but we would be the US pioneers for such a test. I’m not sure how I feel about that, but as the consequences of doing too little are West Nile and Zika, I’m not sure how wishy washy one can be about this. What do you think? Considering that Houston is bending over backwards to make it safe and more fun for Houstonians to spend more time outdoors than they used to (bike trails, improved parks) it seems to me a path worth considering. This approach apparently doesn’t involve culex mosquitos, the vector of West Nile. People seem to be complacent about these low-incidence tropical diseases. Mosquitos occupy a niche in the ecosystem so it would be good to know what the effects would be of a significant reduction in their population. I agree with Voter……there are always unintended consequences, and we better make very sure we understand those consequences before we embark on such a program.